In the late 1970s Ondaatje returned to his native island of Sri Lanka. 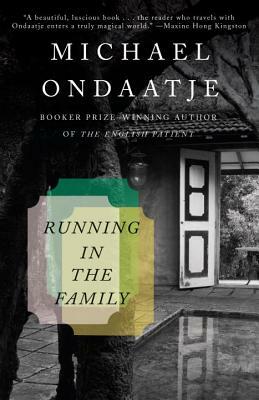 As he records his journey through the drug-like heat and intoxicating fragrances of that "pendant off the ear of India, " Ondaatje simultaneously retraces the baroque mythology of his Dutch-Ceylonese family. An inspired travel narrative and family memoir by an exceptional writer. Michael Ondaatje is the author of three previous novels, a memoir and eleven books of poetry. His novel The English Patient won the Booker Prize. Born in Sri Lanka, he moved to Canada in 1962 and now lives in Toronto. “…brief, vivid scenes, moments revived out of remote memories, pictures of the intensities lived by his passionate parents… amid the lush flora, the predatory fauna, and the old-fashioned life of the British colonies. This is great story-telling.…"